Included here is this Border Wars dispatch is the introduction to my new book Border Wars, which offers an overview of border security, starting with a perspective at the infamous border checkpoint outside Sierra Blanca in West Texas (where, among other things, Willie Nelson was arrested for marijuana possession by leading border hawk Sheriff Arvin West). The flag flutters at half-mast at the Border Patrol checkpoint not far from the remote West Texas town of Sierra Blanca, in Hudspeth Country. Extending to the west, as far as you can see, are two lines of trucks and cars waiting for inspection. To the south, a ribbon of dense riparian vegetation in the distance parallels the march of Interstate 10 from El Paso. On the other side lies Mexico and one of the deadliest places in the world—the killing fields of the Valle de Juárez in the border state of Chihuahua. Both the highway checkpoint and the nearby town stand on the frontline of the nation’s post-9/11 campaign for “border security.” The county spreads 75 miles along the border, and signs of the border-security buildup are everywhere: proliferating Border Patrol agents, the new steel fence that rises ominously along the river, sheriff’s deputies enlisted for border duty. Since 9/11, security budgets in the United States have become sacrosanct; the nation now spends $15 billion annually for border security. Despite the mounting federal budget deficit, Democrats and Republicans compete with each other to burnish their border-security credentials with new spending proposals. But basic questions have gone largely unaddressed. 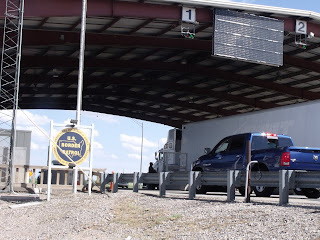 If the buildup in border-security infrastructure is indeed improving security, then this should be evident in places such as Hudspeth County. In the past ten years, the county sheriff’s department has received millions of dollars in federal grants for border patrols. The number of Border Patrol agents stationed there has more than tripled. The checkpoint, now open day and night, counts on a full deployment of K-9 teams to aid inspections. And, of course, there’s the fence. While there is certainly more control, more security operations in this swath of borderland, there is good reason to doubt that we are getting our money’s worth. Close up in Hudspeth County, border-security policy seems, at best, misdirected, at worst, pure folly characterized by escalating marijuana-user arrests, inter-agency tensions, opportunistic threat analysis, enormous waste, and ideological posturing. No terrorists have been apprehended. What is true in Hudspeth County holds across the length of the nearly 2,000–mile Southwestern border. Apprehensions of illegal immigrants are down dramatically, but seizures of drugs, particularly marijuana, stand at record highs. Especially in Texas and Arizona, local officials could not be happier about these arrangements. Politicians and law enforcement rake in federal dollars for dubious security projects. In both states, those same officials tout the projects as their own valiant efforts to do what the federal government won’t, and they go further, offering their methods as national models. Yet there’s no disputing that the border has become a more dangerous place—not just in the killing fields on the other side but also on the U.S. side. It’s just that the dangers, having nothing to do with terrorism, are largely of our own manufacture. While U.S. communities experience little spillover violence directly related to the Mexican drug war and drug trafficking—El Paso is the safest large city in the nation—illegal border crossings are increasingly associated with armed criminal enterprises. That’s why the flag fluttered at half-mast. As a Border Patrol agent who escorted me around the checkpoint explained, a member of the Patrol’s Bortac SWAT team had just been killed on the Arizona border by a gang of Mexican bandits who had been preying on smugglers and illegal immigrants—armed with semi-automatic weapons purchased legally in Arizona. As the border has grown more fortified on the U.S. side, illegal crossing has become costlier and more challenging. It is no longer possible to cross the border illegally without paying human smugglers to navigate the difficult course. Similarly the difficulty and costs of crossing drugs have increased, and, as the fight among smuggling organizations to control the drug-trafficking plazas has intensified, cross-border drug smugglers have armed themselves. The Mexican drug war and the U.S. border-security crackdown have given rise to a new wave of criminality at the border in the form of highly armed bandits who seize drug loads and rob immigrants and their guides. In other words, thanks in part to U.S. government attempts to secure the border—itself an outgrowth of the failures to pass comprehensive and just immigration reform and to handle drug policy effectively—the border has grown more violent. In Mexico, the drug war declared by the President Felipe Calderón in December 2006—since waged with U.S. logistical and financial support—has given rise to a level of violence not experienced since the era of the Mexican Revolution. Both along the border and in Mexico itself, security appears an increasingly unattainable goal. I traveled along the Southwestern border, focusing on Texas and Arizona, seeking out the local and national impact and politics of these security campaigns. I start in Pecos, Texas, with the death from gross medical neglect of an immigrant detainee, Jesus Galindo, at a privately operated, government-owned prison. His wrongful death on December 12, 2008 enraged fellow inmates, ignited two riots, and sparked the ACLU of Texas to file a major lawsuit that lays bare the utter lack of the rule of law in immigrant detention. Sheriff Arvin West of Hudspeth County is the county official in charge of the Sierra Blanca prison that once held Galindo. As chairman of the Texas Border Sheriffs Coalition, Sheriff West figures prominently in what Governor Rick Perry calls the “Texas border security model,” the subject of the book’s second chapter. 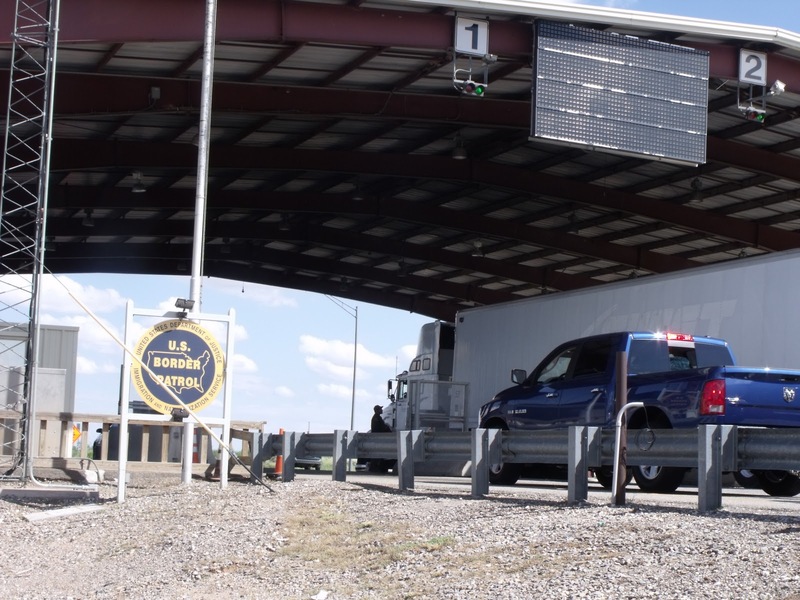 With its 1,200 miles of border, Texas is a major player in the border-security bandwagon. Alarmist cries by border politicians about spillover violence and insufficient federal attention to the border have successfully pressured the federal government to direct large flows of funding to state and local law enforcement agencies, creating not only a gravy train of federal grants but also a platform for right-wing populism. As played out so extravagantly in Texas, border security and homeland security have become prey for political opportunism, ideological fantasizing, and grant-grabbing. Arizona has launched its own vision of border security and immigration enforcement, a vision that has proved influential among other state and local governments. This is the subject of the book’s third essay. Tapping the popular fears and resentment associated with immigration and the border, right-wing politicians and sheriffs, such as Governor Jan Brewer and Sheriffs Paul Babeu and Larry Dever, have consolidated their political bases in Arizona and gained a national hearing for hard-line, albeit simplistic, programs. Their Washington-bashing is wildly popular, but rarely do they acknowledge just how dependent on federal funding are state government and border law enforcement. The often-bizarre politics of border security and immigration in Arizona point to the urgent need for the federal government to reframe and reform its immigration, drug, criminal justice, and border policies. Throughout my investigations I found that the border-security push has injected new life into the war on drugs by reconfiguring those failed policies as vital components of national security. Immigration control, too, has been swallowed by the security paradigm. Instead of reforming the economic incentives that make illegal immigration inevitable, the United States has been stuffing non-threatening people into for-profit prisons. Counterterrorism, the ostensible purpose of these undertakings, is an excuse for sheriffs to absorb federal subsidy. And the lack of a coherent border policy provides a vacuum in which reactionary populism and nationalism have flourished at the local, state, and federal levels. Policy and operations should target core problems. That’s never been the case with U.S. border control, and this disjuncture between policy and problem-solving has widened over the past decade. Since border control has been framed as a security issue, there has been less political space to question the value and cost of border control operations. As the national-security bandwagon rolls on, the cost—in dollars and human lives—is very high indeed.